There are several types of internal parasites, which make your pet’s body their home. Once they start feeding on the blood, they multiply quickly and hugely damage your pet’s health. In order to care about pets as pet owners, it is essential to deworm your dogs. 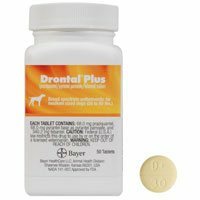 Drontal for dogs is a prolific multi-wormer treatment that largely kills every type of gastrointestinal worms found in dogs. It protects dogs and puppies from roundworms, tapeworms (including Hydatids), hookworms and whipworms. Drontal Allwormer for dogs is the most popular dewormer that comes in chewable tablet form in different flavors including liver and pork. This scientifically proven product effectively treats multiple intestinal parasites such as tapeworms, roundworms, whipworms and hookworms. This oral wormer is easy to administer as dogs take it as a treat. P.S: Drontal tablets will be shipped with a pack insert in sealed polythene. One tablet quantity does not mean one bottle. Tablet* - Sold per tablet. This is an excellent treatment, I wormed both my dogs and now there is no issue of worms. 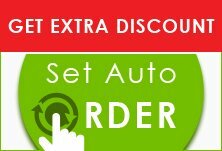 I am satisfied with this product and soon I will be reordering it.